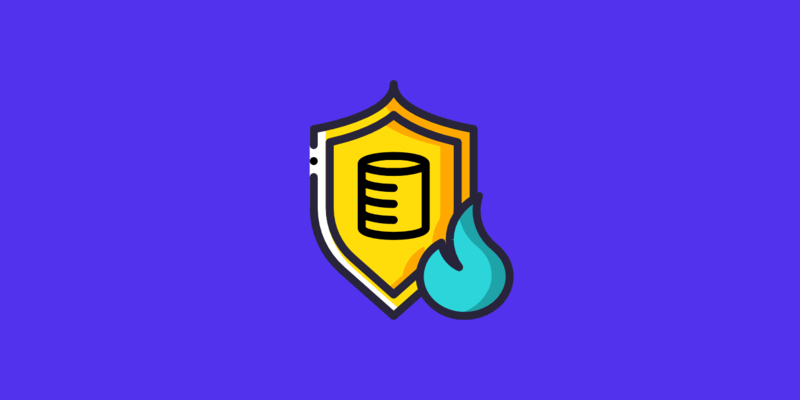 Kinsta’s infrastructure has multiple redundancies in place to keep your data safe and secure in case of a disaster. Even in the off chance of a natural disaster wiping out an entire data center, we’ve still got you covered. Below are just a couple ways Kinsta is prepared for any worst-case scenario. Kinsta uses Google Cloud Platform, one of the biggest cloud computing providers in the world. Not only do they have state-of-the-art data centers designed to withstand disasters, they’re using the same technology and hardware that runs Google apps like Gmail and Google Drive. 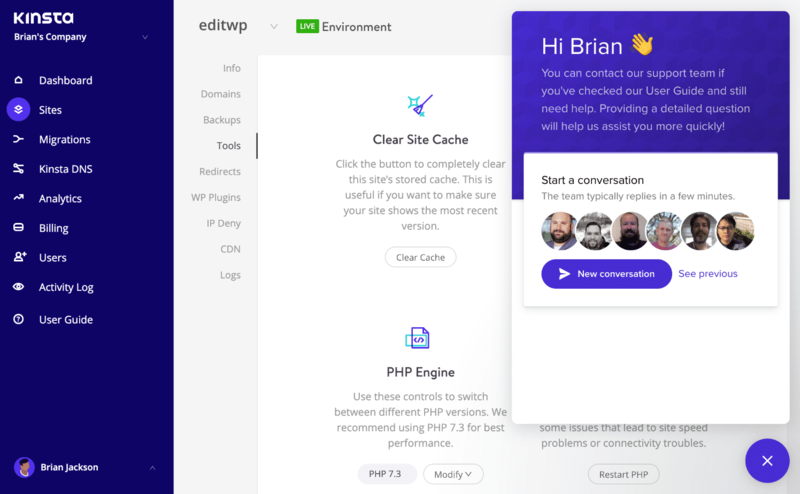 Recognized as some of the most energy efficient and secure in the world, Google’s decade of data center innovation powers every WordPress site hosted at Kinsta. Kinsta creates snapshots of every WordPress site every 24 hours, 6 hours, or hourly depending on the options you select. Check out how automatic backups work. 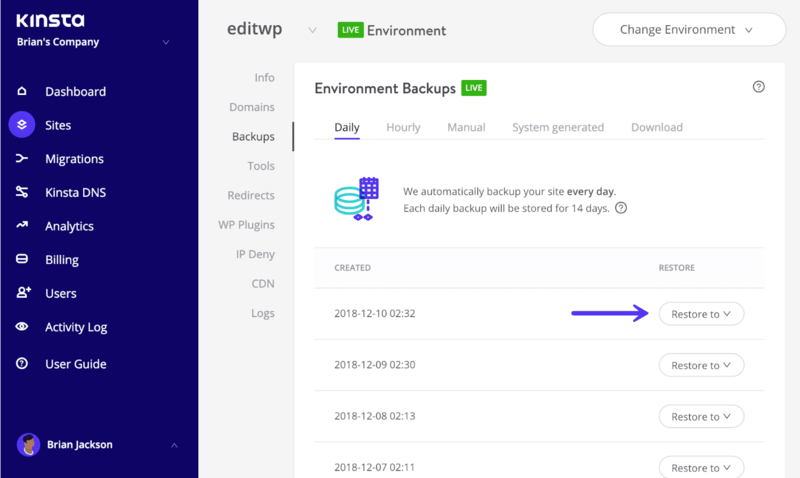 If your site is affected by an incident that isn’t related to our infrastructure you will always have backups you can restore from the MyKinsta dashboard with a single click. Besides automatic backups, Kinsta also creates and stores persistent disk snapshots of every machine in our infrastructure every 4 hours for 24 hours and then every 24 hours beyond for two weeks. Google Cloud Platform automatically stores multiple copies of each snapshot redundantly across multiple locations with automatic checksums to ensure the integrity of your data. This means that snapshots are stored in different data centers from the location where they were originally created. If our Google Cloud Platform infrastructure is ever affected we will always have snapshots to restore. 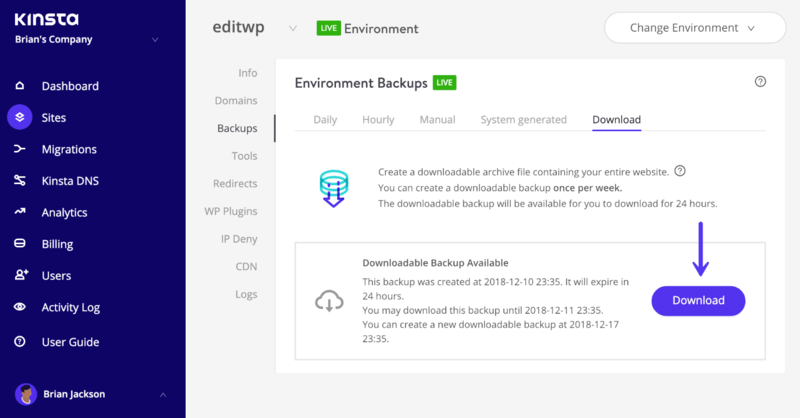 If automatic backups, as well as our redundant backups, aren’t enough, you can always download a backup of your WordPress site. The archive file (.zip) generated from the MyKinsta dashboard will contain your website’s files as well as the SQL file containing the contents of your database. You can then store these somewhere safe to act as yet another backup. We check the status of all websites we host every 2 minutes. That translates to 720 checks for each of your sites every day. We are always proactive. If we notice something wrong on your site, our team will typically reach out to you before you even realize there is a problem. For any issues affecting your sites, you will be notified via a message at the top of your MyKinsta dashboard. If there is a system-wide outage or network event, these will be posted on our status page. We have support personnel monitoring our infrastructure 24/7, 365 days a year. In a catastrophic event, you always have the ability to reach our support team in a matter of minutes. We’re always here to help. → How Long has Kinsta Been Around?